I received the Coast HP7 flashlight as a gift from one of my friends two years ago. People close to me know how I love tactical flashlights as I like camping and can’t travel without one. But for the years that I have been using, I have never come across such a quality and reliable AAA flashlight. It is a powerful light than the Coast HX5 falshlight. I was surprised myself when I first received this Coast HP7 flashlight as I thought it wouldn’t perform well. Surprisingly, it is currently my favorite and I have used it on all my camping trips since I got it. It is a perfect flashlight for home or outdoor use too. Keep it in your pocket or attach the lanyard on the belt or backpack as you go about with your duties. Read this Coast HP7 review to know more about this flashlight. Normally, people find it hard to select a flashlight because they don’t know what to expect from it. 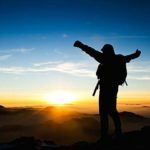 If you want to land the best flashlight for your needs, it is crucial that you check out reviews and as well try out the flashlight for yourself. This will simplify things for you and enable you know what to expect. Since there are so many brands and types of flashlight, it is also vital to know the brands to buy from so that you get the best flashlights available. One of such brands is Coast products. Coast products have been in the industry for more than 98 years. They major in creating flashlights, knives, and multipurpose tools. The Coast HP7 410 lumen flashlight is one of their products. This flashlight is sturdily built from aluminum with a weather resistant body. It is also impact resistant and is rated IPX4. 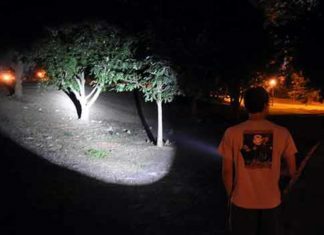 The flashlight can be applied in tactical situations or for general use. The anti-roll tail cap helps to prevent the light from rolling on uneven surface and it can stand on its own to provide vertical light. 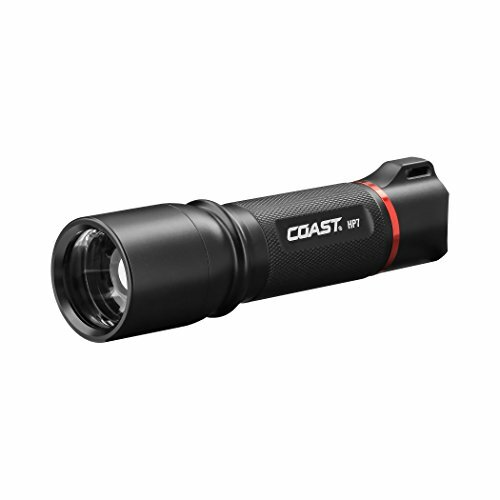 If you need small size than HP7 then check the Coast HX5 flashlight. In addition, the coast HP7 LED flashlight comes with an LED bulb that has a longer lifespan and is indestructible. Use one hand to adjust it from spot to focus beam. Furthermore, you can use this flashlight for more than 19 hours on low mode and it can cover a maximum distance of 229 meters. When it comes to handling the HP7 flashlight, this isn’t a problem at all as it fits well in the palm and switching on/off is done easily through its tail cap switch. On purchase, Coast Products provide a lifetime warranty against defect materials and workmanship. With outstanding features, sleek design, great performance and sturdy construction, you get value for your money when you acquire this flashlight. Read on to know more about the coast HP7 flashlight. Coast HP7 410 lumen light is durably made to last long. The light is made from aluminum material which is durable and corrosion resistant. In addition, it has a strong lens and an anti-roll tail cap. This feature prevents the flashlight from rolling on uneven surfaces and can be placed to stand in order to provide vertical lighting in a room or camp. Also, the aluminum material is impact resistant which means that the flashlight won’t crash if it falls from one meter or less off the ground. 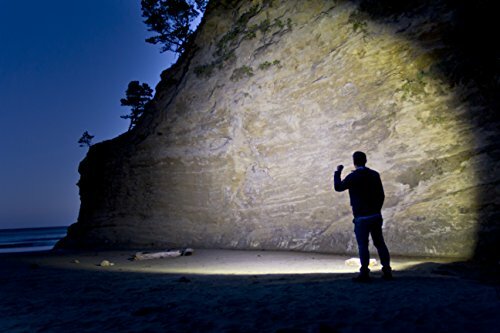 The coast HP7 flashlight might be small in size but it still offers very bright light. The flashlight uses LED bulb which provides bright white light. LED bulb has a longer lifespan and it is also indestructible. It has a maximum of 410 lumens and is able to cover a maximum distance of 226 meters. This is when it’s on high mode and when it’s on low mode, it covers up to 75 meters. This flashlight is very easy to use. This is because it has a tail cap switch which can be switched on/off easily and effortlessly. In addition, it brings together pure beam focusing system with slide focus. So, the user can easily adjust from spot to flood light by use of a thumb. Alternatively, one can choose from the three modes that the flashlight comes with which are high, medium, and low light modes. Another amazing feature about this HP7 flashlight is that it is very portable. With dimensions of 8 by 4 by 3 and a weight of 7.3 ounces, this is a very convenient light to carry with you. Also, it has a sheath which allows the user to attach it on the belt when not in use. If you intend to use this flashlight for outdoor activities such as hunting, camping, fishing, hiking, and many others, there is no problem as it is built for both general and tactical use. The light meets ANSI/FL1 standards and has a waterproof rating of IPX4. Furthermore, it is impact resistant and can survive in tough conditions. Coast product is a reliable brand as it has many flashlights and other tools on the market that have been accepted widely. Coast products are always made with the customer in mind and are of great quality, too. On top of being a reliable brand, Coast products cares for its clients as they provide a lifetime limited warranty against defects in materials and workmanship. 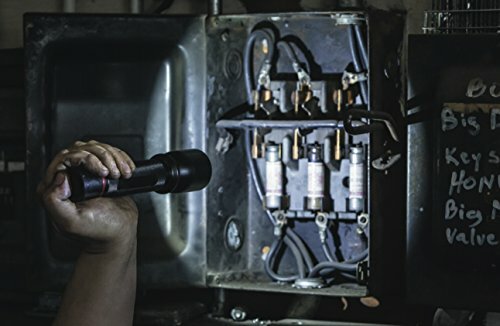 This shows that Coast products believes in its goods and are willing to provide a helping hand in case the customer faces any challenge with their flashlights or other tools. Despite this flashlight having exceptional features, it could have been better if it had strobe and SOS modes. Most of today’s flashlights have the strobe mode which is used to blind enemies and an SOS mode for use in emergencies. The three lights modes are not enough. There are some flashlight brands and models that run for more than 100 hours before running out of power. This is not the case with the Coast HP7 as it has a maximum run time of 19 hours. This will force the user to change batteries after some time and it is not convenient if you intend to use the light for 24 hours or more. This flashlight covers a maximum of 226 meters. This is not very good as there are similar flashlights with same features and size but still covers more than 300 meters. Also, the number of lumen should have been more so that it can be brighter and cover a larger area. The benefits of this flashlight outweigh its shortcomings. The Coast HP7 LED flashlight is a small everyday carry light that is convenient for both general use and outdoor use. It has features such as impact resistant, weatherproof, and flood lights great for outdoor use. While at the same time, it has features such as low mode, tail cap switch, and anti-roll design for general use. This flashlight is very portable and easy to use. We have covered everything in this Coast HP7 review that you need to know about this light!